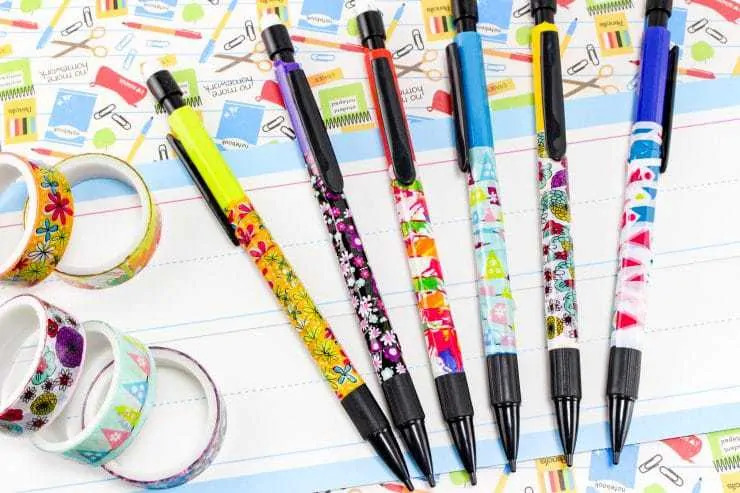 Turn your plain old pencils into something fun and awesome with this easy DIY Washi Tape Pencils back to school craft. 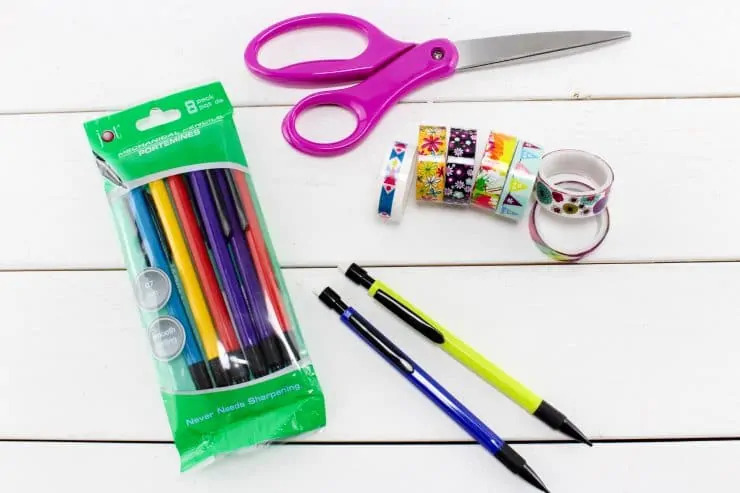 If you are looking for a super easy back to school craft idea, you have come to the right place! 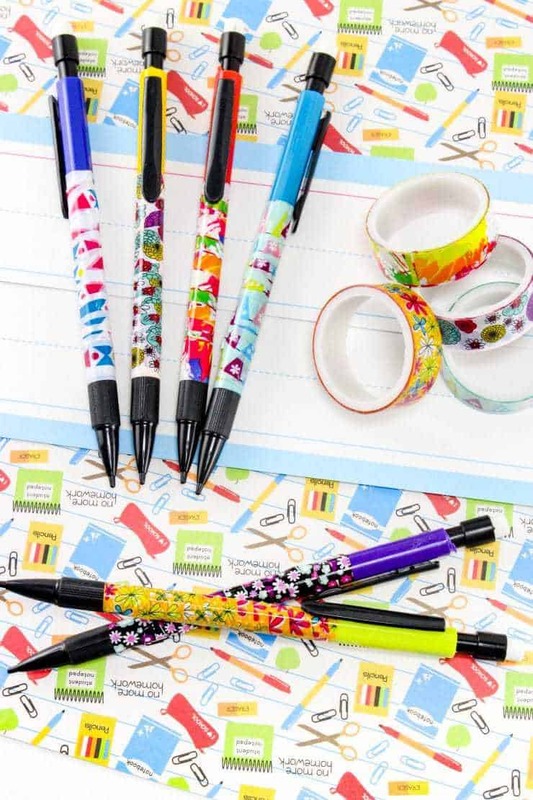 Get the kids excited for back to school and school supplies with these DIY Washi Tape Pencils. Just set the kids up with some washi tapes and pencils, and let them go to town! This simple craft is great for letting them unleash their creativity and get in the mindset for back to school season. We used mechanical pencils but you could just as easily use regular no. 2 pencils or pens. Whatever you use, they are sure to come out super cute! Washi tape is one of my absolute favorite craft supplies. 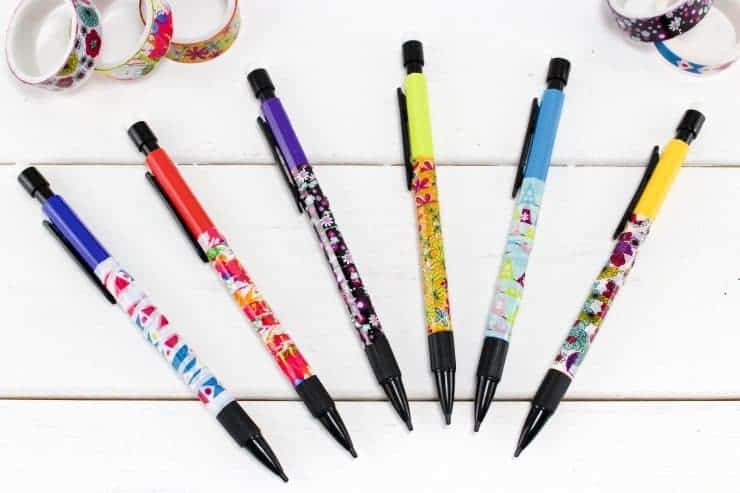 It is inexpensive and makes decorating plain everyday items, such as pencils, super easy. I have a drawer full of washi tape on hand at all times, but if you don't have any washi tape at home you can pick it up at your local craft store or order some online. I have found that Amazon has some awesome deals on large sets washi tape, so I usually order mine from them. 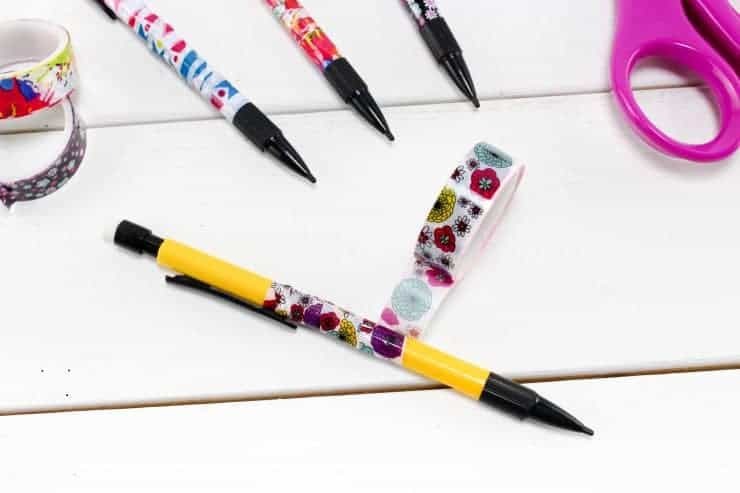 Take a roll of washi tape and slowly wrap one of the pencils. I left a little bit of the solid color at the top of pencil showing. Make sure you overlap the tape as you work down the pencil, and cut off the excess. Repeat steps making as many pencils as you like. That is it! I hope you enjoy this easy back to school craft and that you have a great school year! That is such a cute craft! I love the look. Washi tape is the best thing ever. You can do so much with it! Now this is an awesome idea and an easy way for kids to showcase their individual style. Something tells me a washi tape order is in my near future. Fun! What a fun craft idea for back to school. 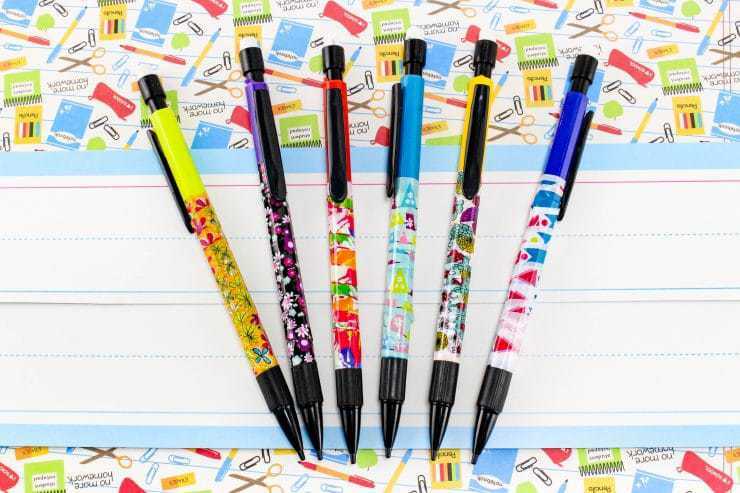 I have to get some washi tape as I know the kids will have a field day trying to make these pencils. I love how much you can do with washi tape for crafty fun! What a cute idea for kids too! This is such a simple and fun project idea! My teens decorate everything with washi tape but I don’t think they have taped up their pencils like this. I’ll have to show them this craft idea and see what they think. I have a sneaky suspicion I’m going to be seeing some very festive pencils soon. What a lovely idea! And so pretty too! I need to get these for my daughter. Washi tapes come in so many great designs now. Cute way to personalize things. These are so cute! I love how easy they are to make and personalize.